What is Fox News without Roger Ailes and Bill O'Reilly? That is the billion-dollar question surely on the mind of James Murdoch, the chief executive officer of 21st Century Fox, who is slowly but surely taking over his father's company and seeking to impose order on its most controversial asset. Fox News supplies more than $1 billion in profit to 21st Century Fox each year, accounting for roughly 20% of its total profits. It does so largely by stoking America's partisan divides and preying on conservative anxieties -- an editorial approach Murdoch has never been entirely comfortable with, according to sources close to him. But if you think Murdoch's discomfort will cause him to change Fox News' programming and risk tampering with the company's cash cow, think again, sources with knowledge of his thinking say. Even with Ailes and O'Reilly out, the network looks set to stay the course as a conservative juggernaut. If anything, Fox News looks likely to become more conservative, and more friendly to President Trump, than it is now. Replacing O'Reilly in the 8 p.m. hour is Tucker Carlson, who delights in criticizing and arguing with liberals and exposing what he sees as inconsistencies of the left-wing worldview. In the first 100 days of Trump's presidency, he has been a staunch Trump defender. Moving to the 9 p.m. hour are the co-hosts of "The Five," the roundtable opinion program on which conservative co-hosts outnumber their liberal foils. The show's new co-host is Jesse Watters, who hosted an often controversial segment on O'Reilly's show in which he ambushed unsuspecting interviewees and, in some cases, made fun of their ethnicity. Sean Hannity, the most unabashed and outspoken Trump cheerleader on cable news, will continue to host his show at 10 p.m. Indeed, with O'Reilly out, Hannity has become Fox's most valuable player and the man the company can't afford to lose. Many speculated that Megyn Kelly would become the face of the network, ushering in a less partisan, more news-focused era. Kelly's departure to NBC News put the kibosh on that idea, but the more down-the-middle Fox never really made sense, because its value comes from being the only game in town for cable-watching conservatives. Indeed, it was never actually the plan, according to sources at the company. By the same token, predictions that O'Reilly's viewers will abandon the network are likely exaggerated. It will undoubtedly be hard for Carlson to match O'Reilly's ratings. But he's already been a major ratings draw since replacing Megyn Kelly at 9 p.m. earlier this year after she left for NBC. 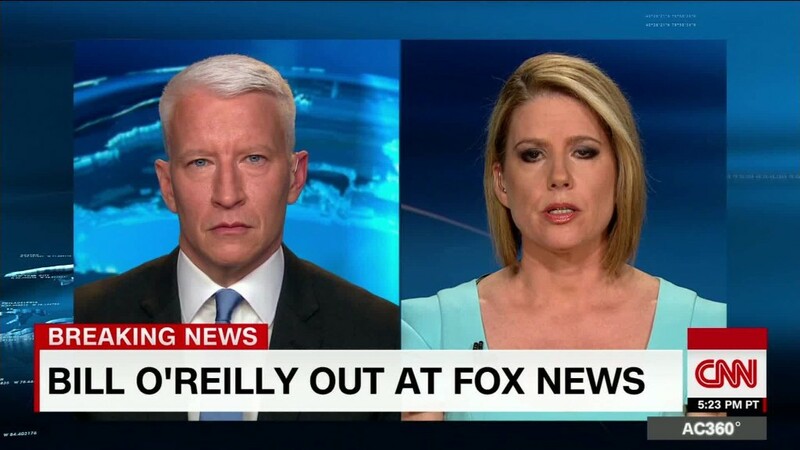 Moreover, if you're a 72-year-old conservative who likes to watch conservative opinion at night -- the median O'Reilly viewer was 72 -- where else are you going to go? Your choices are news (CNN's Anderson Cooper) or liberal opinion (MSNBC's Rachel Maddow). Carlson may not be O'Reilly, but the opinions he'll offer are more or less the same. Ten years ago, Murdoch told the journalist Michael Wolff, "Fox [News] is an important brand, but it needs to develop, and, to some extent, be reformed." That was before Fox News was making 21st Century Fox more than $1 billion a year. And if Murdoch did not reform Fox News in the last decade, there is little reason to believe he'll do it now.